Made on the island of Brač from indigenous grape Pošip, this is a very elegant representative - and very interesting to compare with wines from Island of Korčula. 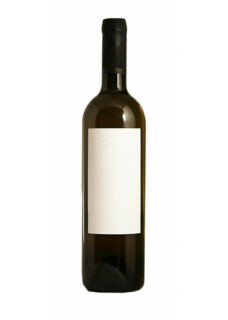 The wine is very mineral and citrus with Brazilian lime and mineral character, full-bodied, and even agile and brisk. It is strong with a powerful, fresh acidity, also abundant in sea salt and fruit to finish. Drink now. 91 points, wrote Suckling. Food pairing: Due to the fullness of the flavour it should be ideally paired with dishes such as shrimp, marine crustaceans and even with "seafood", as well as a fine white meat dishes. Stina project, as one of the most comprehensive wine projects in Croatia, began in 2009, when the company Jako vino d.o.o., owned by Mr Jako Andabak, leased a cellar from the Agricultural Cooperative of Bol in a town bearing the same name. Immediately after the takeover of the cellar, its complete reconstruction and technological equipping started. Vineyards have been planted on a plateau located at 420 to 550 metres above sea, with a slight inclination towards the sea in the east and southeast directions. The peculiar bottle packaging was designed by the renowned Croatian design studio Bruketa&Žinić. This packaging has won awards five times so far: the best package design in Croatia at Ideja X and Cropack, the best package design award in Europe at Helsinki, and the third best package design award in the world at New York, by the choice of the prestigious Art Directors Club.